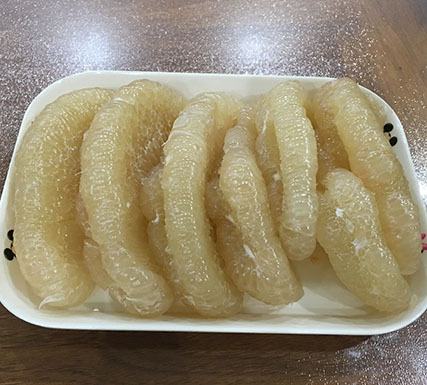 PINGHE FLOURISH FRUIT INDUSTRAIL CO.,LTD. 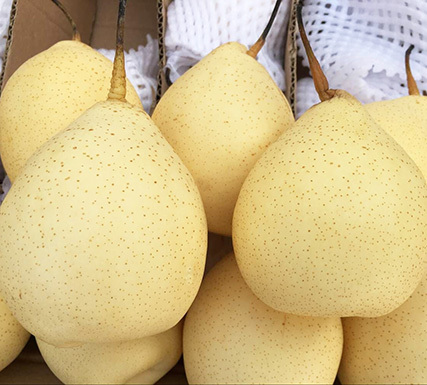 PINGHE FLOURISH FRUIT INDUSTRIAL CO.,LTD was founded 2007, and founded another 100% owned son company named FUJIAN SWEETGIRL FOOD CO.,LTD in 2015. 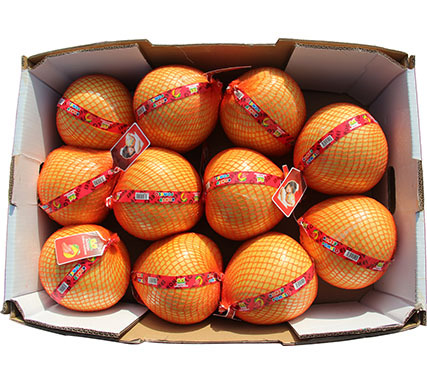 Our company has beening focus on high quality fruits nearly 20 years. 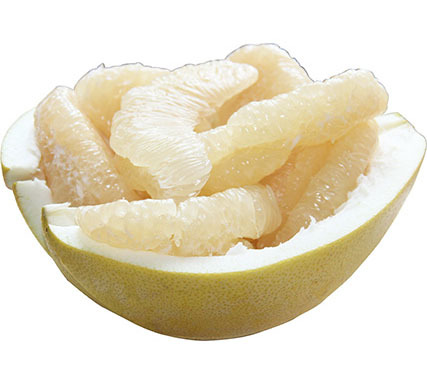 We have a lot good experience on local fruits,espeically for Honey Pomelo. 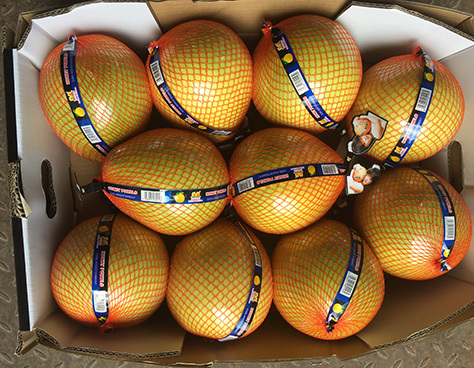 We have now 5 packing warehouses, 3 in our PingHe, Fujian,1 in ShiJiaZhuang, Hebei and 1 in ChengDu city, SiChuan. 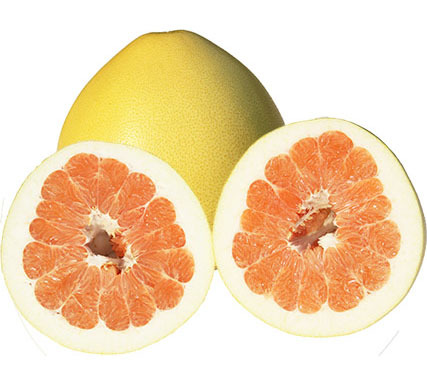 We are selling more than 10000 tons pomelo in Chinese local market every year, and exporting 9000 tons to Europe, Russia, Canada and Middle East. 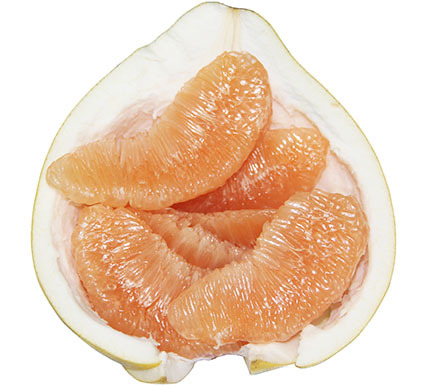 FLOURISH and SWEETGIRL are both our 100% self-owned brand, and our goal is to gain highest reputation on fruits market both our local market and world market by supplying all our clients with healthy, delicious,safety products in competitive price. We also concerning about the earth enviroments, we are improving our teghnologies and facilities every year to reach the requests from clients, both for products and enviroments. 7th-9th Feb, 2018, H5.2C07－ Fruit Logistica Berlin, SEE U! Including farmers who are working very closely with us, totally we have 350 hactares farms. In order to supply all customers with safe and highest quality products, all farms are under unified management. All of us are taking utmost care to our farms, at same time we share the special care and respect for enviroment. We have very strict programme to gurantee the quality, also we are improving our technology&systems to protect our earth. Each production will be tested strictly in laboratory before loading which ensures compliance with the rules of commercialization and all customes will receive goods in safe status. 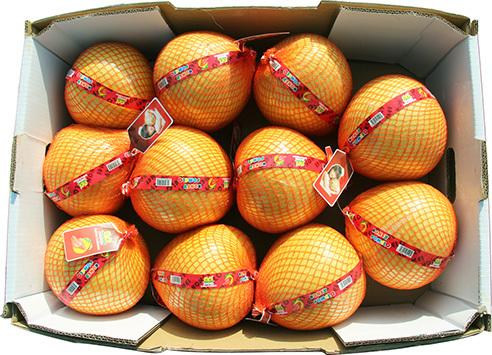 Four are for honey pomelo, 3 in PingHe, FuJian and 1 in PuJiang,SiChuan, totally more than 200 experienced workers. 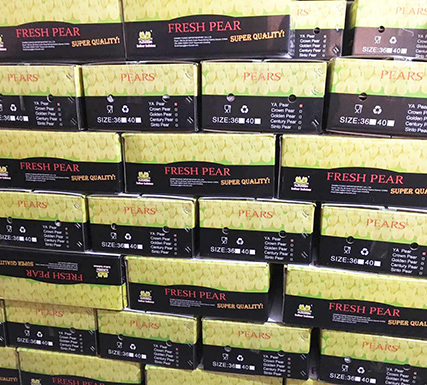 one is for pears, located in ShiJiaZhuang, HeBei, 50 workers. Combined by clean enviroment,auto-machines and skillful workers, we have a proffessional system, which can gurantee the quality and delivery schedule to all our customs. 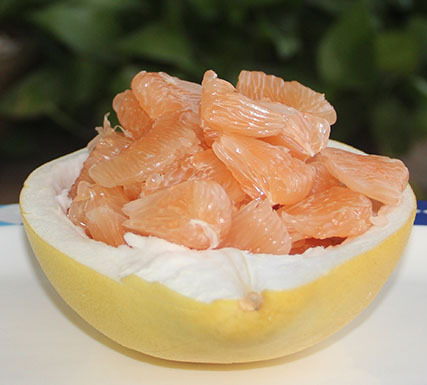 Based on this system, we are supplying 10000 ton pomelo to local market per year, and 9000 tons pomelo to foreign market, like EU,Russia,Canada and Middle east Asia. "We believe the highest quality is the utmost important part of the service,without high quality, service means nothing." --General Manager Mr. Wen Min Dong. There are 2 main teams, one is the production team which ensure the quality for all customs, including freshness of products and the compliance with the rules of commercialization. The other one is the sales team which work energetically, keep high performance on discussion with customs and responsable attitude. From farm to the table of final consumer, we are doing all our jobs to keep our fruits fresh and safe. 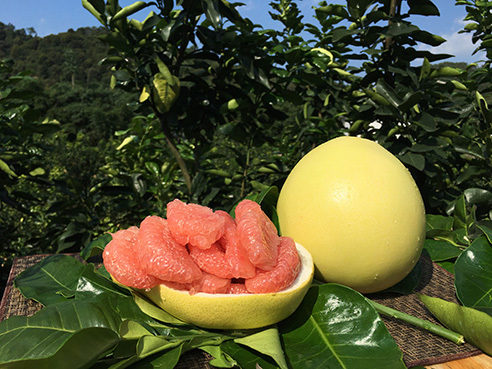 Our 2018-2019 pomelo season starting! We started applying GRASP CERTIFICATE.We hope based this new CERTIFICATE, we can improve our organization, to make our products be more competitive. 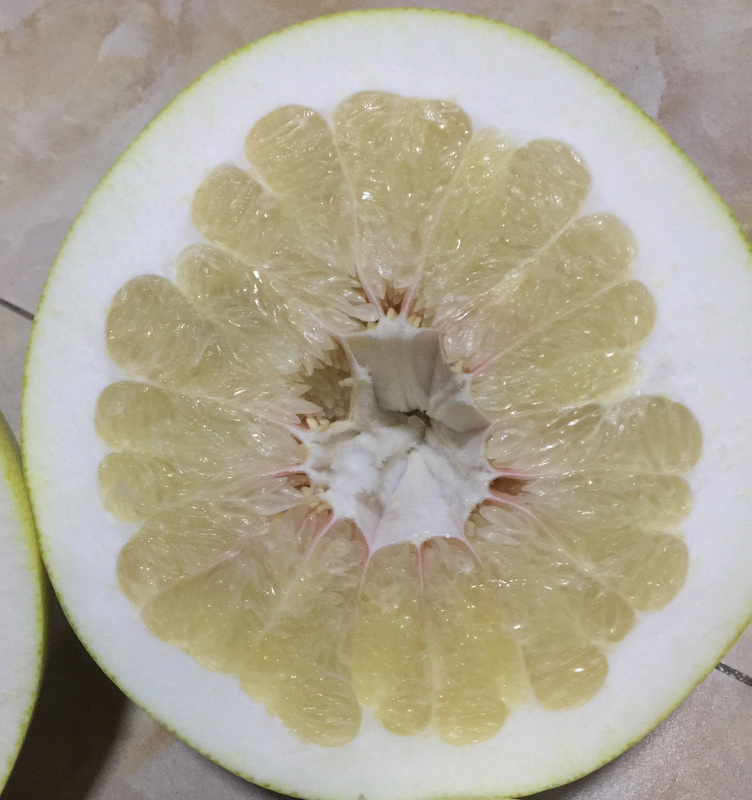 Pomelo season 2016-2017 is coming! 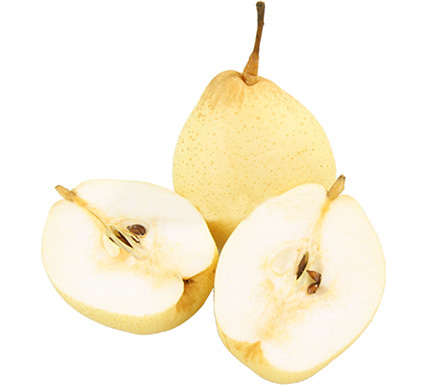 PINGHE FLOURISH FRUIT INDUSTRIAL CO.,LTD. 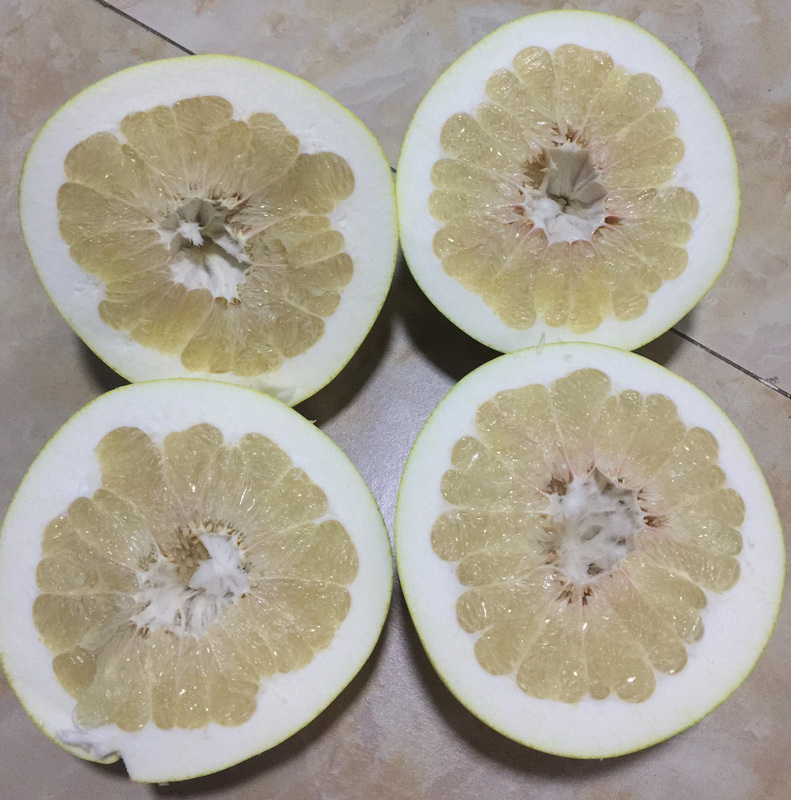 Honey pomelo are mainly grown in PingHe country, ZhangZhou city, FuJian province, China.It is well-known by sweet taste and high nutrition. 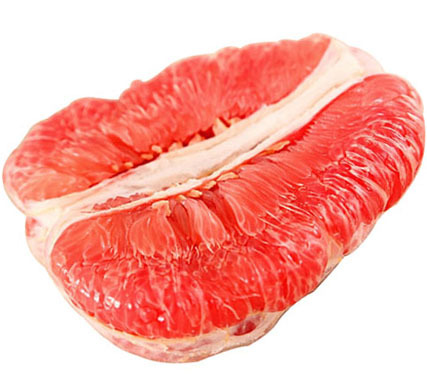 It contains 9.17-11.6g sugar/100ml juicy, 48.93-51.98mg Vitamin C/100ml juicy, brix is 9-14. 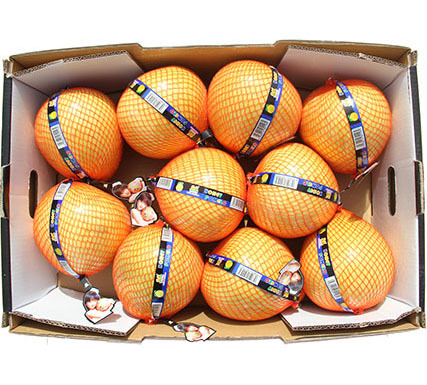 Weight of single piece can be 0.75-2.50kg, can be loaded in boxes as 7-15pcs/12kg box, or 9-18pcs/15kgs box. 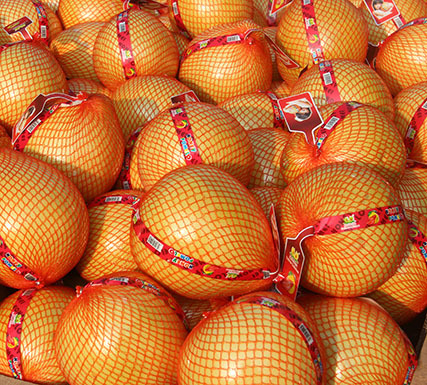 Now 3 varieties are available, white pomelo, red pomelo and orange pomelo, season time is from Aug to Mar next year. 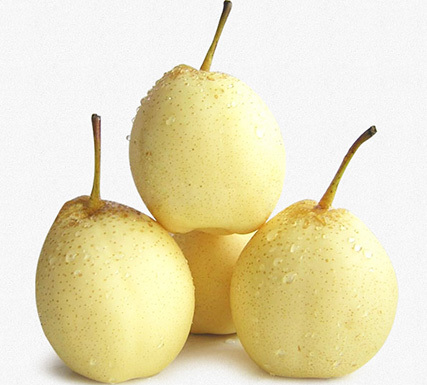 Ya pear is famous fruits of HeBe provice, China. 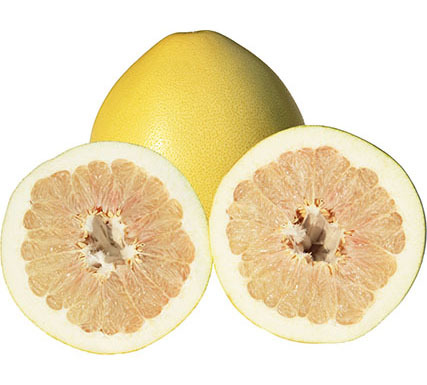 It is rich in dietary fiber, vitamins and minerals. It is excellent for eating out of hand and in salads. 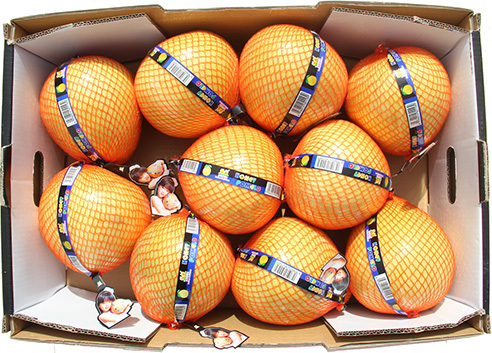 It can be 9,9.5 or10kgs/box, with or without pallets. 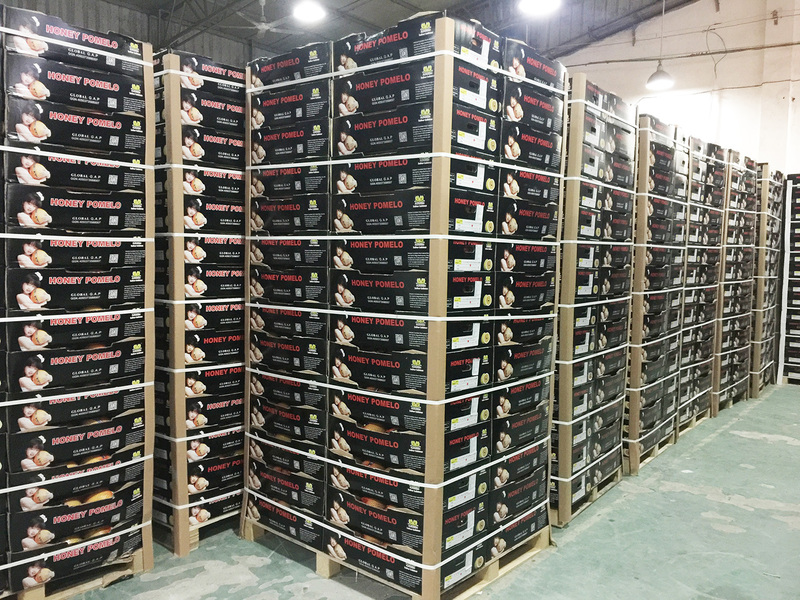 around 2496boxes/40RH CONTAINER. 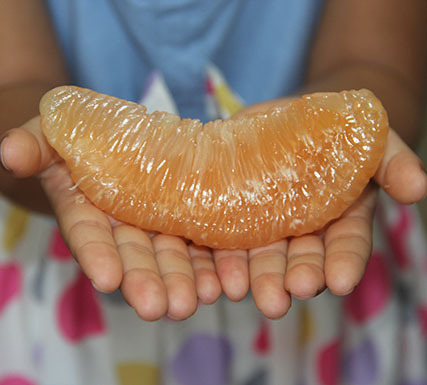 “We grow pomelo in Pinghe Country, in Fujian province in Eastern China. We also have a planting base near Chengdu, in Sichuan province. Our total acreage covers 210 hectares. We export 50% of our crop. 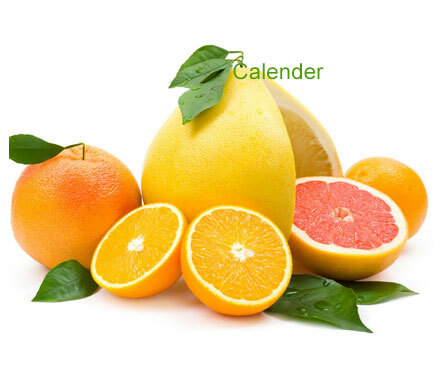 This year, the season started in the beginning of August, which is early. 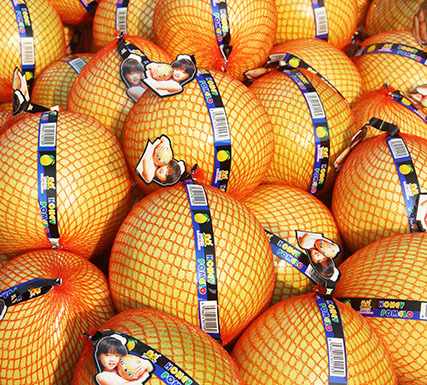 Export to Europe is possible until the end of January. We export by air freight to Russia until the middle or March. 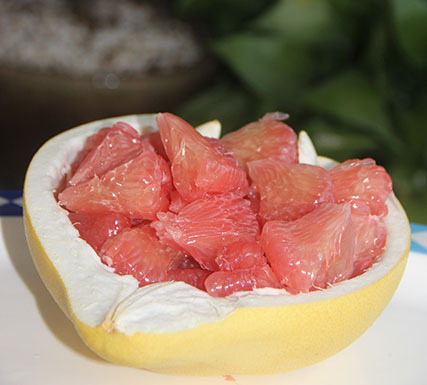 according to Wen Mindong, General Manager of Flourish Pomelo. 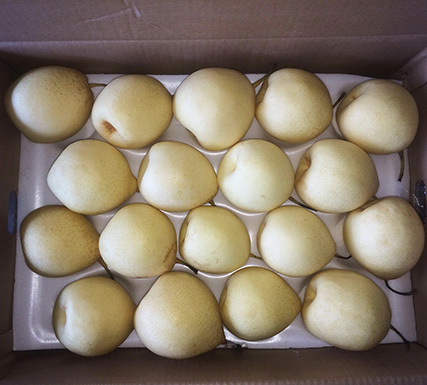 We started our new season of 2016-2017 from week 31, both yellow skin and greenish skin available. We started applying GRASP CERTIFICATE. 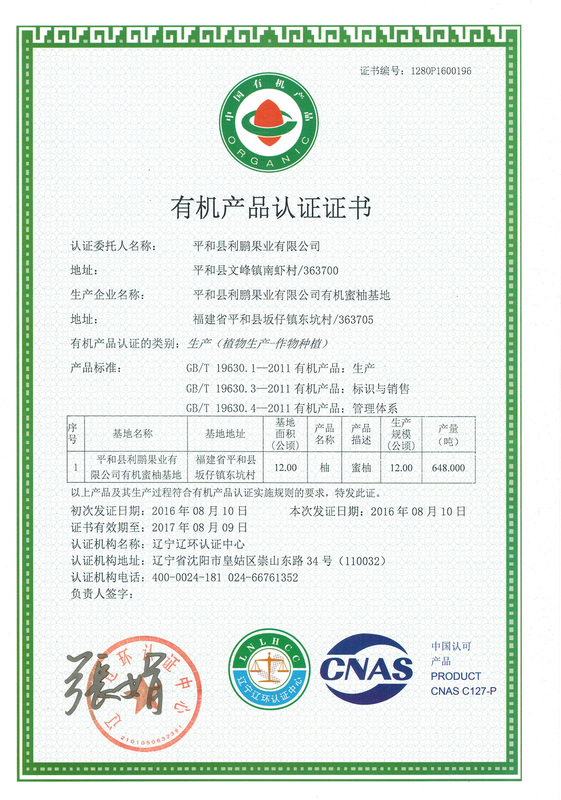 We hope based this new CERTIFICATE, we can improve our organization, to make our products be more competitive. 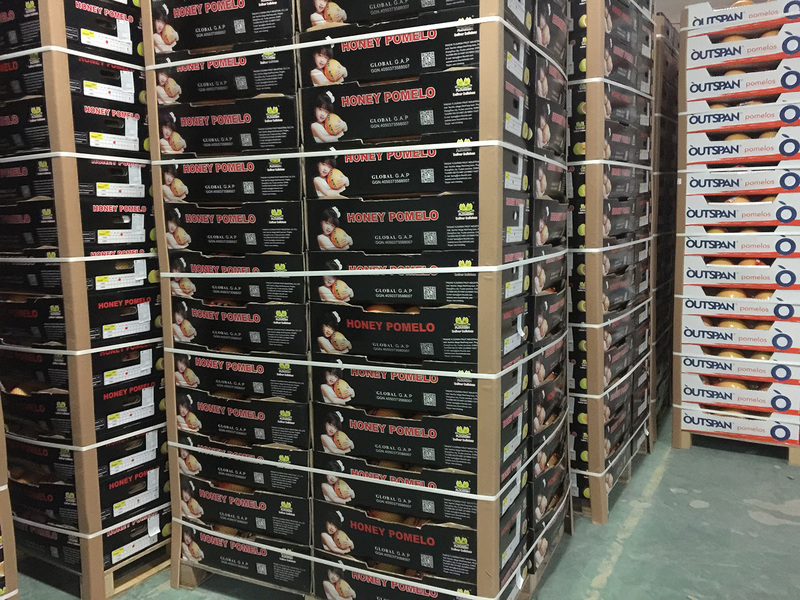 The first loading of pomelo season 2016-2017,we expected will be W31-32. 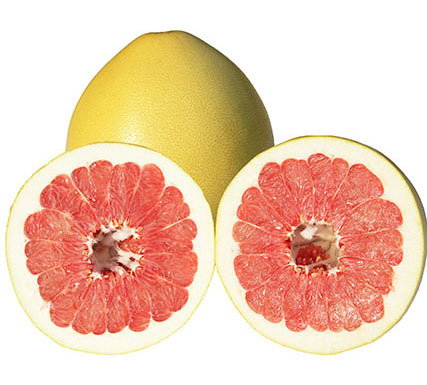 Due to some reason, for example the big volume of last season,the total volume of pomelo will 10-20% less than last season.